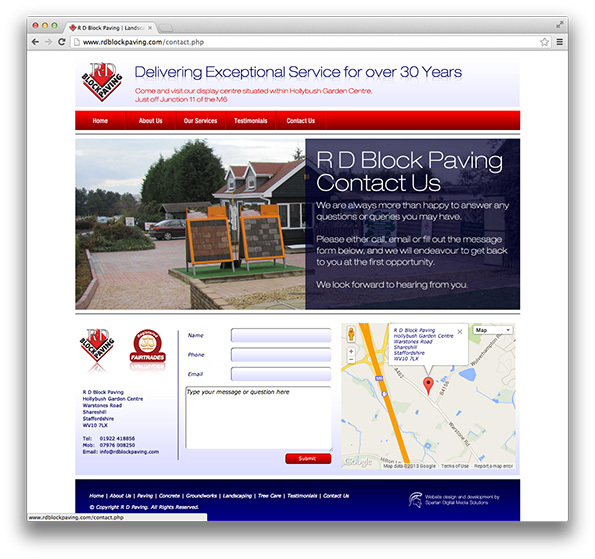 RD Blockpaving is a Midlands based company specialising in block paving and ground works. 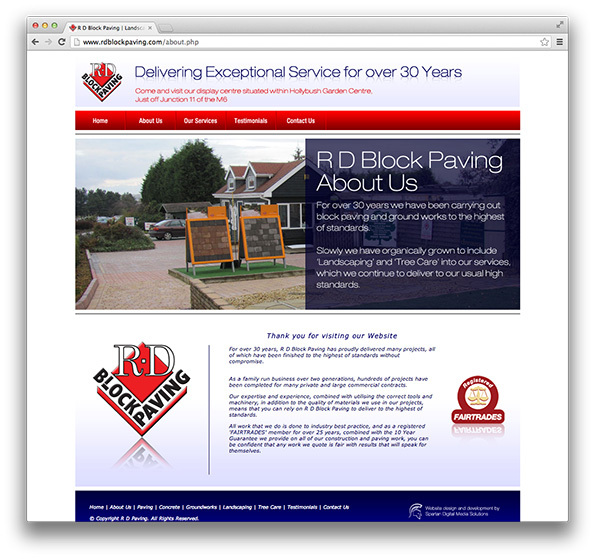 The company, already having being branded and with an existing logo, required a clean site to tie in with the current branding. 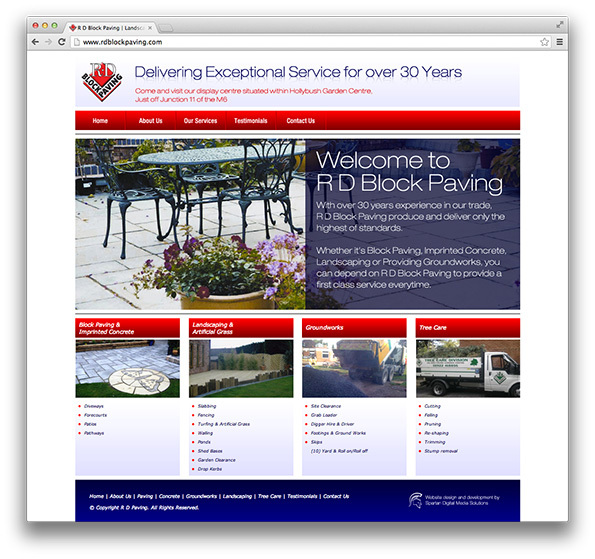 The company required the website to be designed in a way that would allow the photography of their work to stand out. 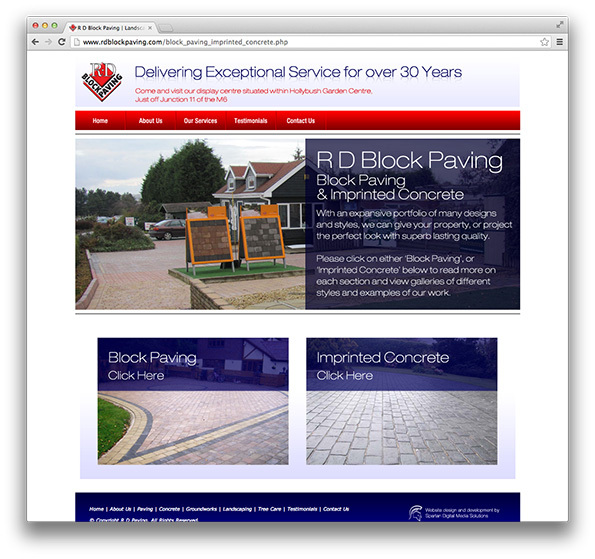 Since the website build, Spartan have worked with RD Blockpaving on various print projects from DM leaflets to advertisements in publications.